The public was invited to review and provide comments on a public discussion paper released as part of a comprehensive timber supply review for the Williams Lake Timber Supply Area. Public feedback on the discussion paper will be considered by the chief forester before setting the new allowable annual cut. The discussion paper describes the geography, natural resources, forest management and land use plans of the Williams Lake Timber Supply Area. It also provides the results of the timber supply analysis, including a base case harvest forecast. 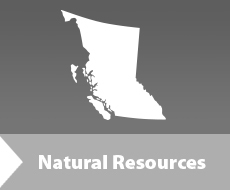 The Williams Lake Timber Supply Area covers about 4.9 million hectares, with approximately 1.8 million hectares available for timber harvesting. The City of Williams Lake is the largest community in the timber supply area. Smaller communities include Horsefly, Likely, Miocene, Alexis Creek, Anahim Lake, Tatla Lake, Riske Creek, Big Creek, Nimpo Lake, 150 Mile House, Big Lake and Mcleese Lake. As part of the timber supply analysis, a habitat supply assessment was conducted on three wildlife species—pine marten, moose and grizzly bear—to determine the implications of timber harvesting on wildlife. Results show pine marten habitat requires connected tracts of mature and old forest while grizzly bear habitat is linked to human activity and the availability of road free areas. Moose habitat requires forest cover next to feeding areas. However, in wetter parts of the region, feeding areas can be temporarily enhanced through timber harvesting.